We are a well-established distributor of Point of Sale (POS) equipment. We have been shipping equipment all over the United States for over 16 years. We also offer Portal Advantage for business owners. We have partnered with the ISV to supply your mobile POS hardware needs. What is the warranty service? What is covered in the Salesguard Protection Plan? At this time, the SalesGuard Protection Plan is only available through our Portal Advantage program. All Portal Advantage equipment is included in the Protection Plan. Under the SalesGuard Protection Plan, if there is a defect in materials, functionality or battery failure, POS Portal will send a replacement device by next business day. POS Portal will send a prepaid shipping label for the return of the defective device. Customer is billed for the full value of the original device if unreturned after 30 days, or device is un-repairable due to customer abuse. Damage caused by abuse, misuse, fire, earthquake or other external causes. Device been altered, defaced or pieces removed, or has been modified to alter its functionality or capability without the written permission of the manufacturer. Does not apply to devices that have been lost or stolen. Does not apply to cosmetic damage to, including, but not limited to, scratches and dents that do not otherwise affect the functionality of the device. You have 30 days to return most anything you buy from POS Portal. Do you sell the receipt roll paper for my printer? Yes, we do offer re-stock papers and other supplies needed to keep your POS system running. You can contact our Sales Team at (855)-838-4611 and we can assist you with supplies order. Is there other hardware you support? 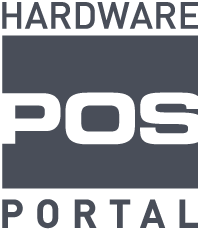 We are constantly updating our site to make sure all the peripheral that each point of sale software solution can support are available through the Portal Advantage plan or for purchase. If you don’t see a particular unit, please drop us an email at askus@posportal.com or call us at (855) 838-4611 and we will look into it. How may I obtain a copy of my Portal Advantage agreement? You may request a copy of your agreement by calling our Portal Advantage department at (877)-820-8570, or by emailing us at assistance@posportal.com. Please include your business name, contact name, address, phone number, order number and/or Portal Advantage number. How do I make my Portal Advantage payments? All Portal Advantage payments will be deducted from your banking account on file via Automatic Clearing House (ACH). When will the payment be deducted from my account? The monthly payment occurs on the day the equipment is shipped to you. This is also known as the “anniversary day”. It will be the same day each month. Why is the ACH amount different from the initial amount written on my Portal Advantage agreement? The Portal Advantage Payment is your monthly payment amount plus sales/use tax. If you have not yet provided insurance document covering the equipment, the monthly payment could also include an Insurance Non-Compliance fee. Why is there a charge for sales tax? You are responsible for any applicable tax on the Portal Advantage payment or tax that is levied on the equipment. The sales/use tax will be assessed on Portal Advantage payments based on the current state, county and/or local tax rates in the jurisdiction where the equipment is located. It will be added to the basic monthly payment and debited from your bank account on a monthly basis. What is the Insurance Non-Compliance? In order to protect your business and POS Portal from loss and/or damage of equipment, you will be asked to provide POS Portal with a certificate of business insurance naming POS Portal as loss payee. If you do not provide a certificate of insurance to POS Portal, an Insurance Non-Compliance fee will be charged until the certificate is provided to POS Portal. Details describing this fee may also be found in the Portal Advantage agreement. I changed my bank account. What do I do? Please contact our Portal Advantage department at (877)-820-8570. We will send you a form to authorize the change in bank account information on file. If the equipment breaks, who do I contact? Please contact our Support Specialists at (855)-838-4611 and request a Returns Management Authorization (RMA). After my Portal Advantage term where do I return the equipment? Please contact our Support Specialists at (855)-838-4611 to discuss your different options..
Can I cancel my Portal Advantage Plan? After the initial 30 days, the Portal Advantage Plan is non-cancellable. Is a lower monthly payment available if I commit to a longer 24 month term agreement? At this time we are currently only offering a 24 month Portal Advantage Plan..
How long does it take to approve my Portal Advantage application? Portal Advantage applications are reviewed within one business day. How will I track my order, and know when I will probably receive it? We will send a shipment confirmation email once the order has shipped from our facility. It will contain the tracking number for you to track your package. If you have additional questions about the status of the order you can contact our Support Specialists at (855)-838-4611. If I buy the equipment and need to replace it, what are my options? Can I order just part of the equipment or do I need to get a complete bundle? Yes! You can order either individual items or the complete bundle. The bundles we offer contain the recommended equipment for a complete POS system. What do I do if I have broken equipment? 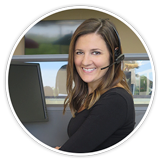 If you have the SalesGuard Protection Plan through our Portal Advantage program, please contact our Support Specialists at (855)-838-4611 and request an RMA. We will then process the request and ship out a replacement unit within one business day with return instructions. Will you charge me sales tax, or do I have to do that myself? All sales orders will be charged sales tax. If you qualify for sales tax exemption we can assist you through that process. How late can I place an order? You can contact our Sales Team at (855) 838-4611 from 7:00am – 5:00pm PST, Monday - Friday and we can assist you in placing an order over the phone. All equipment has to come back to us in the same way you got it; everything in its original unopened state. All items that are returned to POSP are subject to a minimum 20% restocking fee. And, in order to receive a refund, you’ll need to initiate the return within 30 days from when we shipped your items. There are some items, those with a value of less than $50, that are non-returnable. To view our complete return policy Click Here . To initiate a return, please call or email us at support@posportal.com or 1-855-838-4611, option 2. You will be issued an RMA number and be provided shipping instructions. If you have any questions about our products or policy, please call a Support Specialist at (855)-838-4611. Is there a cost to upgrade my shipping method instead of selecting the free ground option? Expedited shipping can be selected at the time of order placement for an additional charge. Is there a limit on the free ground service? No. We give free ground shipping on all hardware orders of at least $750. Free ground shipping only applies to the Continental US. Additional shipping charges apply for orders shipped to Hawaii and Alaska. What is the eWaste Fee in my cart? Shipments to California will incur an electronic recycling fee on qualifying products, such as tablets. For more information click here . Can I purchase a Salesguard Protection Plan after I have purchased my equipment? At this time, the SalesGuard Protection Plan is exclusively available only through Portal Advantage.